Millers First Game Of 2019 – Who Is In The Middle? 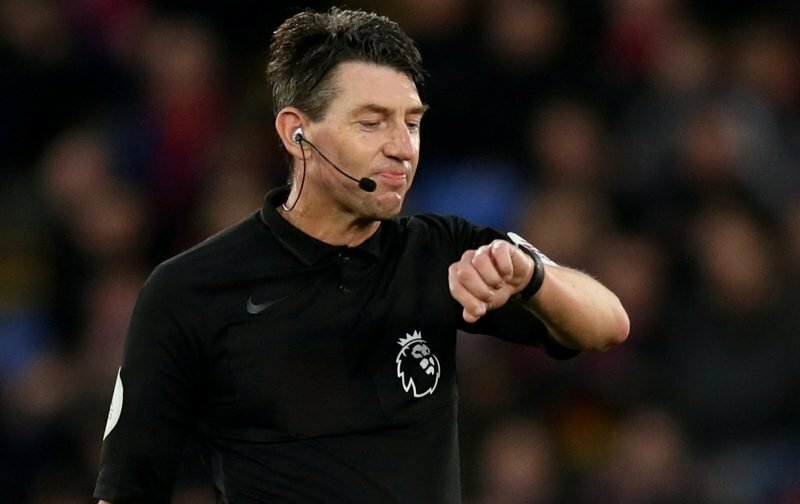 Rotherham United’s first game of 2019 sees referee Lee Probert from Wiltshire in the middle at the New York Stadium when Preston North End are the visitors. We have to go right back to December 2009 to find the last time Lee was in charge of the Millers which was a game against Bradford City at Valley Parade in League Two. Lee Bullock put the hosts ahead on nineteen minutes with two Kevin Ellison goals giving the Millers the lead going into the half-time break. A minute into the second half Michael Flynn pulled it back to two-two but a sensational fifty yards free-kick from Gary Roberts and a goal from Drew Broughton gave Rotherham a four-two win in a game which saw Millers’ ‘keeper Andy Warrington pull off a couple of great saves. Lee showed yellow cards to City’s Ramsden, Flynn, Bullock and Clarke as well as Broughton for the Millers that afternoon. When the Millers entertained Southend at the New York Stadium in September 2005 Lee gave two penalties. Mark Bentley and Adam Barrett had put Southend two-up with Colin Murdock and Deon Burton with the first of the penalties making it two-all going into half-time. Wayne Grey scored to give the visitors back the lead on eighty-four minutes and two minutes before half-time the second penalty was given, this time to the visitors, which Grey put past Neil Cutler to give the visitors the win. The 2004/5 season saw Lee in the middle for two Rotherham games – the first being at the Madejski Stadium in August when the only goal of the game was a Dave Kitson penalty on the stroke of half-time and the second time was a Tuesday night at Portman Road in the April. That game saw seven goals with Ipswich going two-up with goals from Ian Westlake and Darren Bent while Tony Thorpe pulled one back for the visitors before half-time. Bent and Jim Magilton made it four-one to the hosts but Martin Butler and Martin McIntosh made in an interesting finish. Running the line at the New York Stadium will be Simon Beck and Andrew Garratt. The Fourth Official is David Webb from Lancashire.